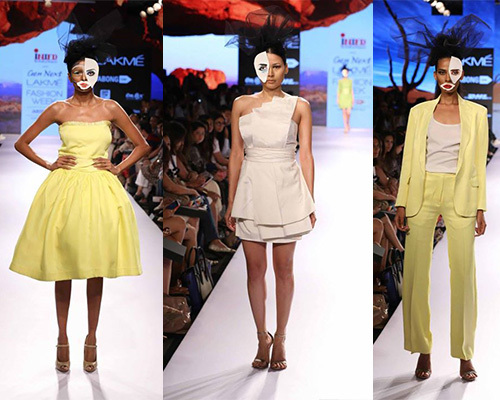 Verb By Pallavi Singhee brought texture and colour blocking in lush hues of lime, blue and baby pink. 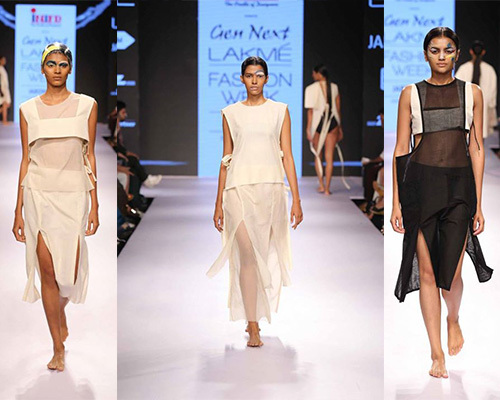 A beautiful and sensuous play of sheer, satin and silk took centre stage. 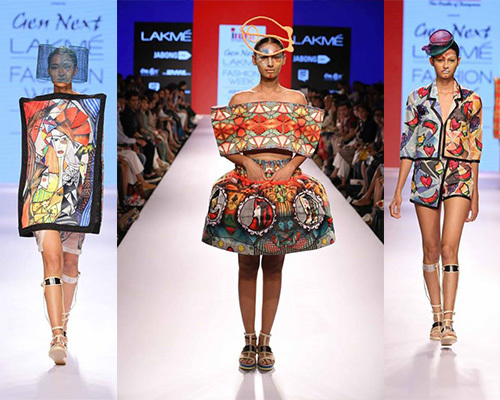 Surendri by Yogesh Chaudhary showcased vintage aesthetics with jharoka backs, actual parrot motifs and feathered tails. 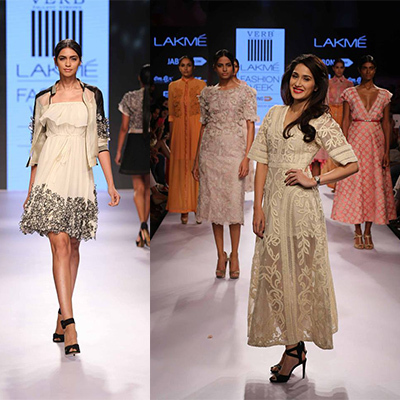 ILK by Shikha and Vinita offered a delicate feminine touch with relaxed silhouettes, embellished with floral textures and seam inserts. 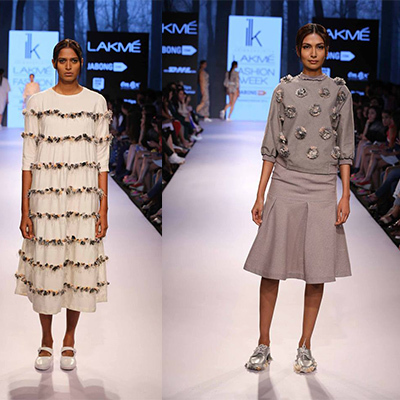 Archana Rao’s collection titled ‘The Apartment’ was based on Parisian-tinted nostalgia, bringing together maxis, shirts, slit kurtas and skirts in soft pastel and military hues. 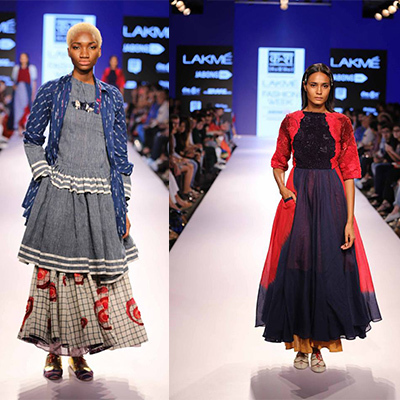 [Ka] [Sha] by Karishma Shahani Khan paid homage to indigo with her ‘Neel’ collection with tiered dresses, flared jackets, cross-over tie-up kurtas and bias cut shirts. 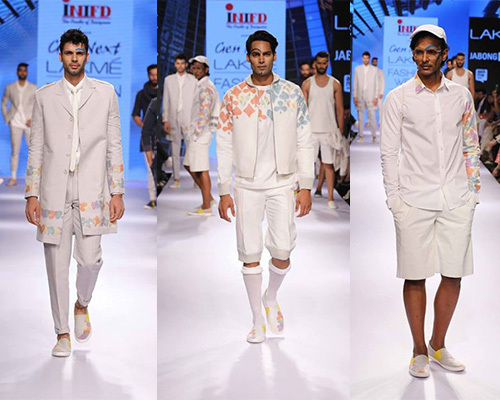 HUEMN created a strong air of impact with sports luxe, in the form of minimalistic and edgy designs. 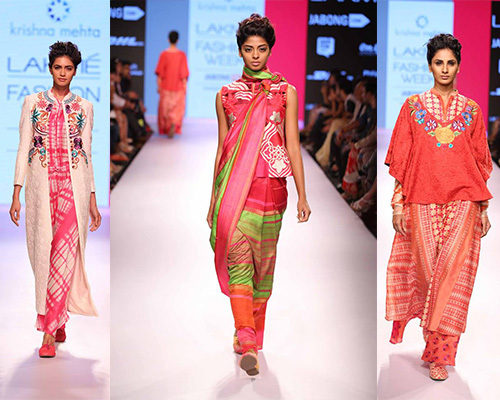 In her classic approach towards fashion and textiles, Krishna Mehta created traditional-luxe outfits in a seventies boho style. 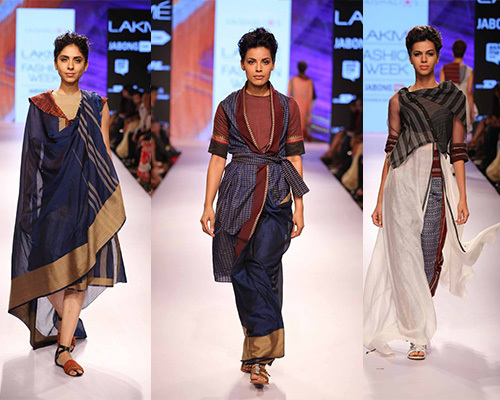 Vaishali S worked with khand and khadi reinventing old textiles with intricate geometric construction. 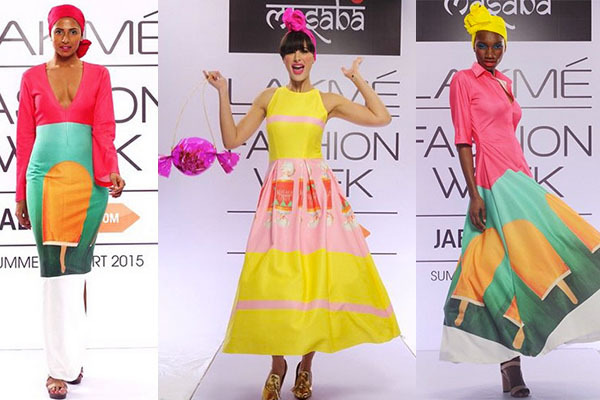 In a one-of-its-kind show, Masaba’s collection carried the runway over to Instagram. 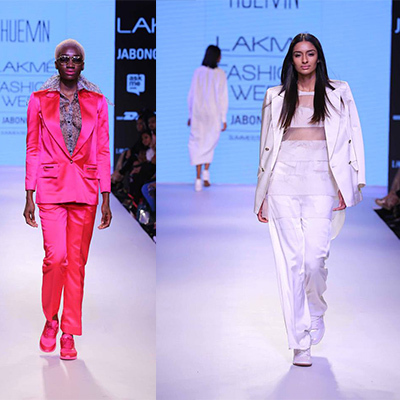 Popsicle hues, 3D prints and colour blocking ruled the virtual runway. 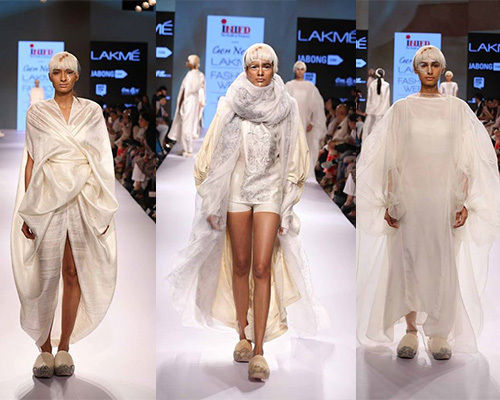 The last show for the day had us rushing over to the Great New Eastern Mills in Byculla. The vintage venue was sprinkled with t-lite candles and yellow rose petals. 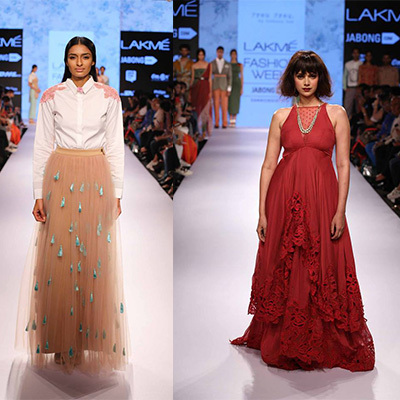 Just when the old-world charm took over, Manish Malhotra showcased his collection in association with the social organisation Wevolve. 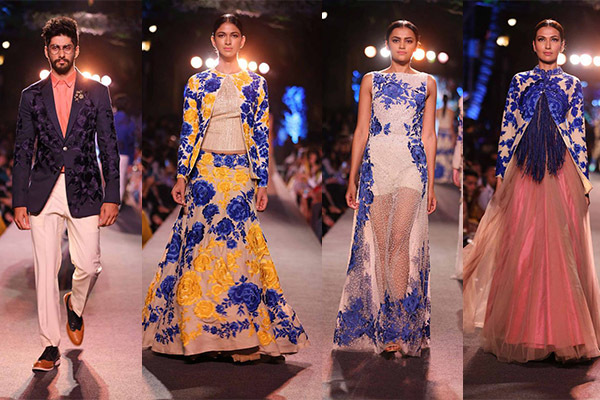 Manish’s catalogue for spring-summer was in full bloom with a blue colour palette and intricate threadwork. 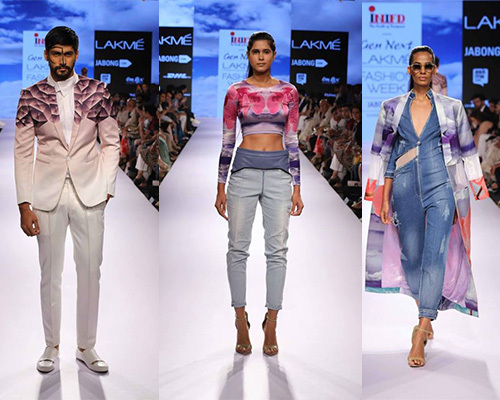 Check out backstage footage, front row action and candid shots from Day 1 here. Missed out on our previous posts? 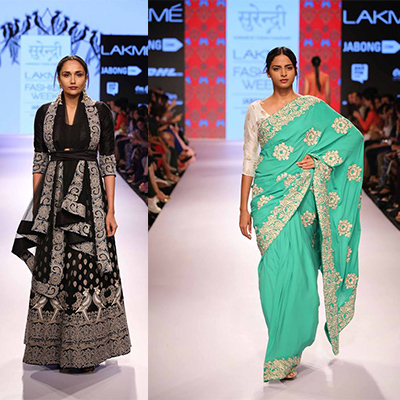 Check out the opening show by Sabyasachi.